Join Rachel Baum for a hands-on, family-friendly cooking class. 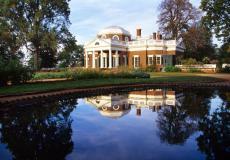 Young cooks (9 and under) and their favorite grown-ups will first harvest produce from the Monticello gardens. The class will then help prepare simple, kid-friendly dishes. The reward will be to eat what they make and take home the recipes.